Super Saiyan Goku. 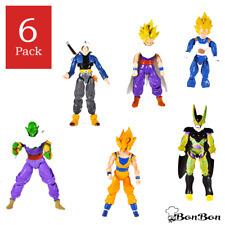 This Set includes 8 Well Known Dragonball Z Characters which you can bring to life. Fight amongst these 8 Characters to Reach Your Goal of Capturing all 7 Dragon Balls for your Ultimate Wish! Fast Shipping, Warehouse In California. Random ball. Made in China. Might not be official. Character :Son Gohan. Material :PVC. Size: About 19cm / 7.5" Height. This is a Bandai Dragon Ball Z Saiyan Scouter Green Lens. The Scouter Headpiece is adjustable. 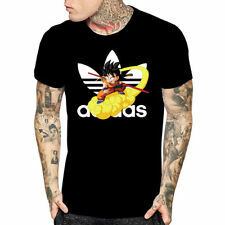 Super cool and great for any fan of DBZ. Recommended Age: 14 Condition: Brand New. Decal / Sticker Information. P eel the decal with application tape off and apply it to a smooth clean surface. Anything with a smooth clean surface. Vehicles Fenders. 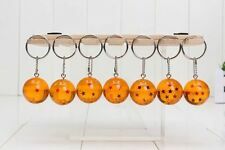 ONE Set (7pcs) of Dragon Ball Z Crystal Balls With Gift Box. 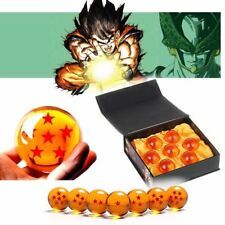 New DragonBall Z Stars Crystal Glass Ball 7pcs with Gift Box. 4.5 cm each ball. New Bandai Japan Dragon Ball Z S.H.Figuarts Great Saiyaman US Version. Material: PVC. We believe communication will fix problems. Quantity: 1PCS. condition: 100% new without Box. Premium Gloss Vinyl Approximate Size. This is a Dragon Ball Z Shikishi Art Collection 7 ART Blind Pack made by the good people over at Bandai. Each pack contains one Shikishi art card at random. Art cards measure roughly 5.5 inches by 5 inches. A great collectible for any DBZ fan! Please Note: Purchase is for one blind bagged art card at random. Art of packaging may vary. Condition: Brand New and Sealed Dimensions: 5.5" x 5" X Bandai Dragon Ball Z Shikishi Art Collection 7 ART Blind Pack. All products are quality checked. Material: PVC. Weight: 520g. Color: As shown on the picture. This is a Dragon Ball Adverge 9 Movie Special SS Broly Figure made by the good people over at Bandai. This miniature figure is roughly 2 inches tall. It's a Japanese import from Bandai/Shokugan. These miniature DBZ figures are superb for their size. Sometimes difficult to find in the U.S., we always love seeing these little guys surface. 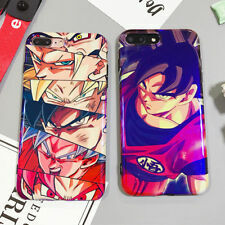 Great for any DBZ fan. Recommended Age: 14 Condition: Brand New Dimensions: 2" X 1 Bandai Dragon Ball Adverge 9 Movie Special SS Broly Figure. Premium Gloss Vinyl Ideal for Indoor/Outdoor Use. Sharp Print Quality. Resolution of Soldiers vol.2-. ◆ Condition : New. 8Box (Candy Toy)- Gogeta (Super Saiyan 4). 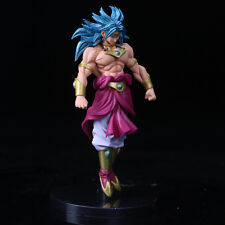 Gogeta (Super Saiyan 4) / ゴジータ (超サイヤ人4. Series:Dragon Ball GT ( ドラゴンボールGT). All images may be test production shot prepared by their makers, and differ from finished products . ). Gashapon Miniature figure. Petite Imagination Figure 2, Goku. These items are unopened, imported directly from Japan. We ship from within the U.S. and we Ship FREE anywhere in the U.S. We ship within 2 business days, items usually arrive within 3-5 days of purchase. Luggage Case，Lockers，Mirrors or other clean （non-porous）smooth surfaces. Residual：No residual after remove sticker. 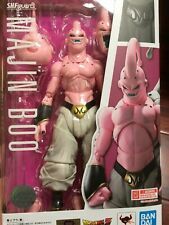 10 Box (Candy Toy)- Kid Buu/Majin Buu (Pure). Majin Buu (Pure)/魔人ブウ (純粋). Manufacture: Bandai. Series: Dragon Ball Z ( ドラゴンボールZ). All images may be test production shot prepared by their makers, and differ from finished products . Size is : 2.56" X 3". DRAGON BALL Z SUPER COOL KID GOKU DBZ. Condition is New. Shipped with USPS First Class Package. Version: Made in China,China Version. Material: PVC. Super Saiyan God/Red Son Goku (孫悟空/超サイヤ人ゴッド. Manufacture: Bandai. Series: Dragon Ball Super ( ドラゴンボール超). All images may be test production shot prepared by their makers, and differ from finished products . ). We believe communication will fix problems. Note:it's China version with high quality,not original version. Note: Pls be noticed the color may vary from the picture.Opp Bag! The product can be decoration or used as gifts for kids. It is 100% Genuine and Authentic from Bandai. View pictures to get a general idea of how the dents look. Notice ： Pls be noticed the color may vary from the picture. We will arrange for a solution. 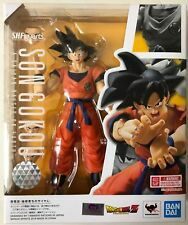 Dragonball Dragon Ball Z SUPER SAIYAN SON GOHAN S.H.Figuarts Tamashii Bandai SHF. Condition New. Anything with a smooth clean surface. Vehicles Fenders. Super Saiyan Gotenks (超サイヤ人. Manufacture: Bandai. Series: Dragon Ball Super ( ドラゴンボール超). All images may be test production shot prepared by their makers, and differ from finished products . ). Decal / Sticker Information. Anything with a smooth clean surface. Vehicles Fenders. Super Saiyan Rose Goku Black/Zamasu (超サイヤ人ロゼ ゴクウブラック/ザマス). Manufacture: Bandai. Series: Dragon Ball Super ( ドラゴンボール超). All images may be test production shot prepared by their makers, and differ from finished products . You will be getting the exact item pictured. 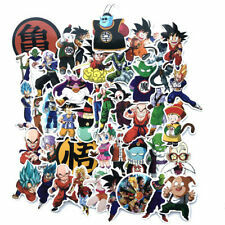 Digitally Printed DBZ sticker. No shortcuts taken. Printed on a 6 color process printer. 2 DBZ sticker.